International Shipping Services offers a number of shipment options for the international relocation of your car. Each shipment method is customized to the individual needs of each customer depending on the number of cars and destination. One of our international car shipping specialists will discuss your options and prices with you. Shipping cars and autos overseas from the USA by container and RoRo. Step 1: The customer can either deliver his car with all of the necessary documents to the port/warehouse or ask us to pick it up. Step 2: Int'l Shipping's crew loads and secures the car(s) into an ocean shipping container or the port workers will load it directly onto the vessel with Ro/Ro transport. 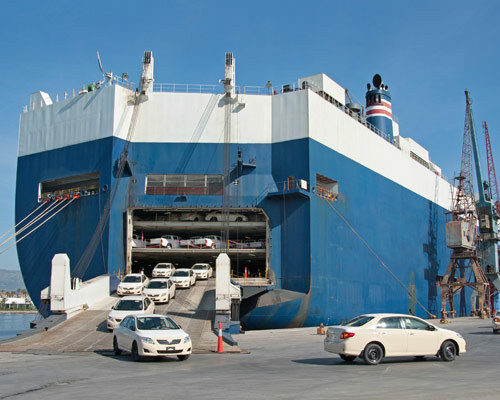 Step 3: The car is then transported to the port of departure, cleared with Customs and loaded onto the shipping vessel. 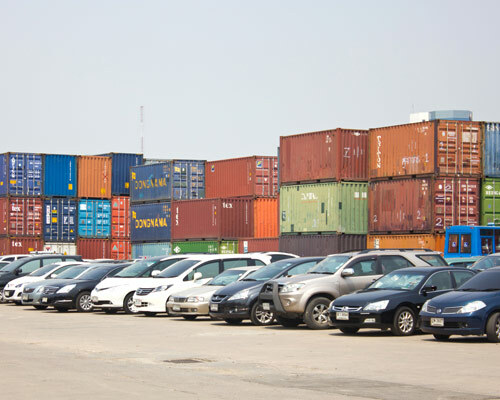 Step 4: Once the car has reached its destination, it will be taken off the vessel where the port agent will see it through Customs and either deliver it to the new residence or have the client pick it up directly from the port/warehouse. I'm a car person and was anxious about sending it overseas, however, it was delivered in the same perfect condition that it left in. I would not hesitate for a second to use this company again. They were very helpful with coordinating my car shipment as well as explaining the industry to me clearly and concisely. They walked me through the process and were up front and honest. This was my first experience shipping a car and did not have any issues throughout the process from pick up to delivery. The I.S.S representative was extremely helpful every step of the way. Went above and beyond and was exceptionally professional. Doing business with Int'l Shipping Services was hassle-free and well organized. I will definitely recommend this company. This was my first time shipping a vehicle I had purchased. I had researched transportation companies for months. I decided to use I.S.S. They were priced less than most other companies, but it wasn't for lack of service. The service was fantastic! I was very impressed. They answered every question and explained the process. I would absolutely hire this company again.